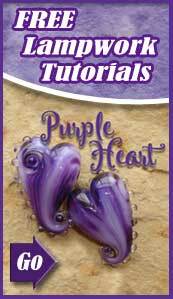 This is the bead made in this tutorial. 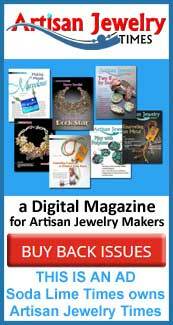 If you are new to lampwork, you are about to learn one of the keys to making your floral and organic beads pop. For those that are more experienced, you know that making stringer and “twisties” is one of those fundamental skills that must be mastered if you ever hope to move beyond the bland bead. This tutorial shows you how to quickly and easily make vine cane twisties. 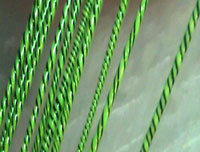 As shown, the technique may be used with a number of colors and stripe variations to produce an almost infinite variety of “cane” to give your beads depth, interest and style. Mentioned in the tutorial are: Corina Tettinger’s Magic Wand, Glen Mincey’s Rod Holder (Etsy agate58), Reichenbach Deep Black. 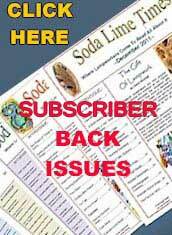 This terrific tutorial is available only on Soda Lime Times.